Home > Bar > Which POS system is right for your business? 22 Jan Which POS system is right for your business? 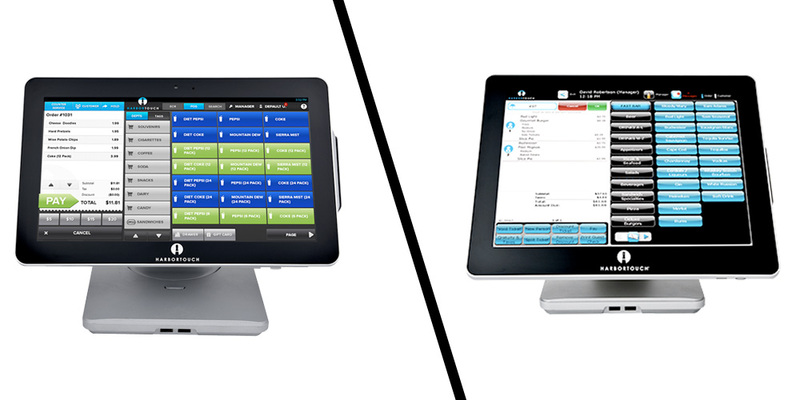 Two Best-in-Class POS System Options: Which one is right for your business? Let’s take a deep dive into which system makes more sense for your business as we compare our Echo System POS and the Elite System POS. 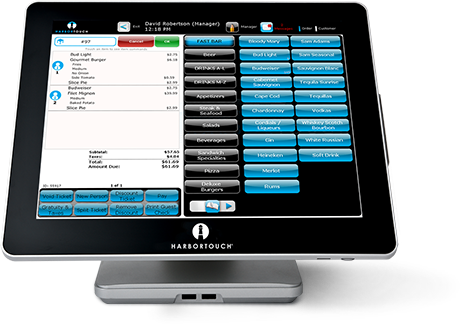 Both POS systems come complete with Harbortouch’s State-of-the-Art Software, Top-of-the-line Hardware, Powerful Analytics and featuring our ever popular customer service. Let’s take a look at what separates these 2 powerful systems and what industries can most benefit from each POS unit. As mentioned above, the Echo System features an intuitive and robust software fit to cater to any business. An ideal fit for restaurants, boutiques and retail shops, the Echo system comes fully customizable to your business’ needs. Our module-based software gives you the features your business needs and will hide the ones you don’t, making your POS system not only easy to use but caters to your needs! Our software comes in three tiers of functionality that will naturally fit and grow with your business! 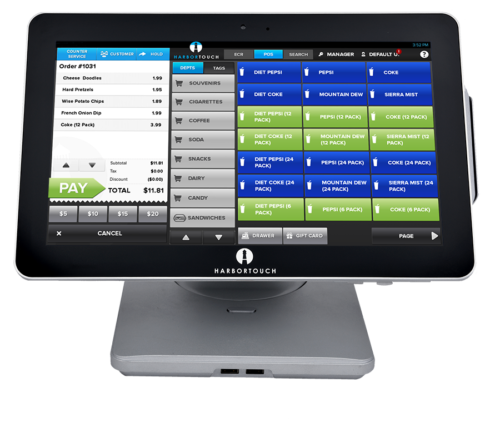 The Echo System POS also showcases up-to-date modern technology, such as Apple Pay™ and Google Wallet™ and uses Cloud technology for real-time reporting and automated backups. When powered by Wireless connectivity, your Echo System uses Proprietary HTNET technology that creates an encrypted wireless network at your location to deliver superior reliability and security compared to traditional WiFi. With a beautiful 13.3 inch touch-screen display and super fast flash storage, the Echo System also comes with dual-hinges for flexibility and rotates 180 degrees to allow for customers to sign on screen. The software features unlimited categories and modifiers and easy to find keyword searching capabilities, a time-clock functionality for your employees and e-receipt capabilities. In our estimation, the Echo System is built for businesses such as boutiques, concession stands, corner stores and other quick service companies. For more information, let one of our associates help you out! With all the cutting technology that the Echo system features, the Elite is a high-quality POS system unmatched in its reliability and functionality. Giving you features that can help your business in all industries, we pride ourselves in the Elite System especially geared for retail, hospitality, delivery and salon types. Using the Elite System for quick service and casual dining establishments, it will give you blazing fast speed and flawless performance. As the Echo system features, the software in the Elite system also allows for use with cutting-edge payment technologies such as Apple Pay, NFC and EMV. Take advantage of the Elite system’s robust software, with its capability to take on your delivery service as well! With its ease of use and robust capability, the Elite System will cater to your business needs so you can focus on what keeps you running – your customers! The Elite system is geared to larger, full service businesses than the Echo system and its feature set stretches further than the Echo system’s capabilities. If your business is looking for 4+ POS terminal stations, there is a good chance that Elite is a better fit for your business. Even businesses that need fewer than 4 systems, but require certain particular full service, or software specific functionality, may also be better suited for the Elite system. Whether you are running a small boutique, a delivery service or a fast-paced restaurant, we know our systems will go the extra mile in ensuring your business is running smoothly and efficiently! Both systems are cutting-edge and offer robust capabilities and completely customizable. Ask one of our constituents to help you out in choosing the right system for you!